It is a beautiful summer day! Your BBQ is fired up; the kids are in the pool. You’ve got a tall glass of your favorite summer drink within arm’s reach and a bottle of suntan lotion nearby. Then it hits you out of the blue! Could you turn those powerful rays of sunlight beaming down on you into solar electricity to power your home? Most likely your electricity bill is the last thing on your mind when you’re having a pool party, but now that we are on the subject, lets take a look at the opportunity! Converting sunlight into usable energy has been around for a long time. Using that energy to create electrical power has been in the news for the past thirty years as solar panel technology has improved and people look for alternative energy sources. But has the technology improved so much that it is now convenient and affordable for the average homeowner to take advantage of solar electricity for the house? We’d like to think that placing a couple of solar panels on the roof will keep your lights on and the refrigerator running, but the reality is it will take a little more effort. You may already be using solar power on a small scale. Many homes have small solar powered garden lights that can be used around the house to illuminate walkways or landscaping. But you need something with a lot more power to keep your computer and television running, so let’s take a look at the options. The main thing to remember is that solar panels take up space. The more space they take up, the more power they produce. Solar panels are available from small kits that can light an RV or small cabin and don’t really cost very much. 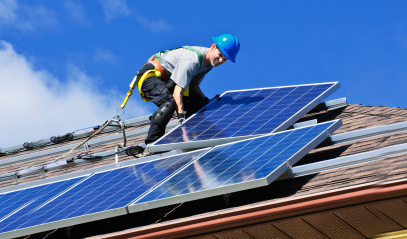 But if you’re thinking of a way to entirely eliminate your monthly electricity payments, you have to give some serious thought as to whether solar electricity for the home is your best option. As mentioned, space is the big issue. If you live in the country and have several acres of land available, you just might have an opportunity for a large-scale project. In the city, it becomes more difficult. 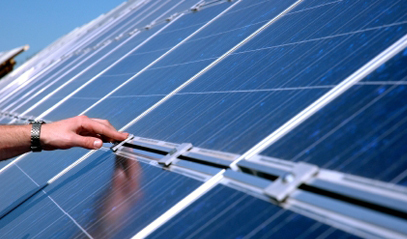 However, the roof of your home provides a large flat area ideal for solar panels. To determine if solar power is affordable for you, you must crunch some numbers and see how long it will take for it to pay off in the long run. Both state and federal governments offer a number of financial incentives that homeowners can take advantage of to help finance their solar power projects. 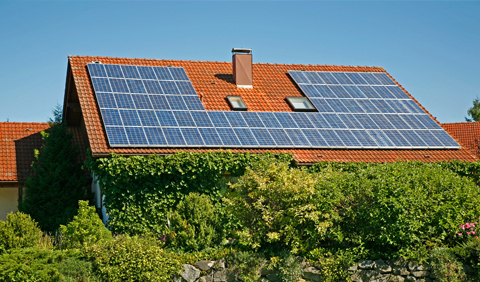 Or, if you’re still unsure about buying a solar energy system, you could look into leasing one. New Mexico based Affordable Solar, a solar energy solutions company, has teamed up with Sunnova Energy Corp in an innovative solar leasing program. One example of a lease, which includes installation and monitoring, offers New Mexico residents a 4.5-kilowatt residential solar system (typical for a 3 bedroom house) for approximately $79/month without any upfront cost. The rental fee would be offset by the reduction in energy bills. 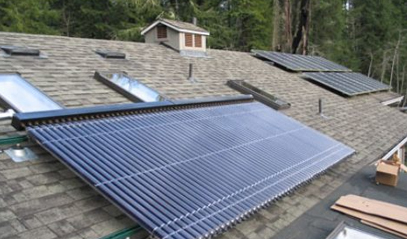 You also have the option of using partial solar power to reduce your monthly utility bills. If you think solar electricity might be right for you, don’t try it on your own. Get some good advice before you start the project. Contact a RESNET certified contractor with sound knowledge of solar power technology to advise you on the most affordable way to take advantage of the sun’s rays.